In the late ’00s, as a consolation for the disappearance of the monoculture, sentimental indie fans old enough to remember the ’80s got chillwave. Codified and vilified in roughly the same internet moment, it was atmospheric electronic music meant to evoke rec-room sleepovers, rented Nintendo cartridges, cheesy sci-fi soundtracks, and other such shared experiences. As comforting as this nebulous nostalgia can be, there comes a time when you have to make new memories. 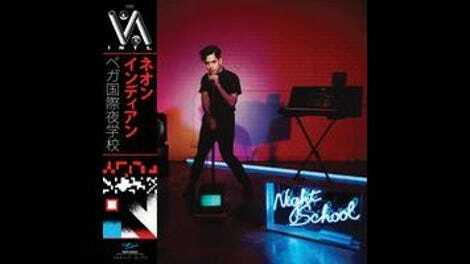 That has never been a problem for Neon Indian mastermind Alan Palomo. After defining chillwave with 2009’s wonderfully warped Psychic Chasms, the Mexico-born, Texas-raised producer and multi-instrumentalist shifted gears with 2011’s Era Extraña, a set of shimmering synth-pop tunes far less rooted in hazy remembrances. It took Palomo four years to return with his third album, and his time spent tinkering—and rediscovering his love of DJing—has served him well. Neither chill nor wave, VEGA INTL. Night School is a vibrant, glitchy, hook-laden celebration of nightlife. 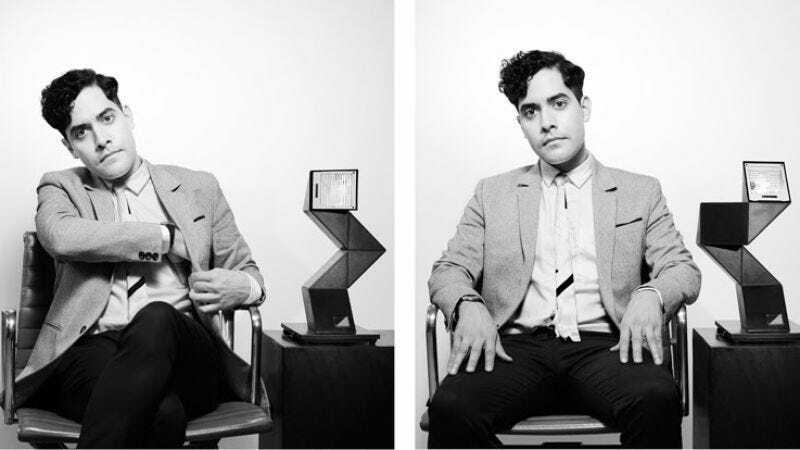 Named for VEGA, the dance-oriented project Palomo launched around the same time as Neon Indian, it thumps as hard as Era Extraña aches. No EDM bandwagon jumper, Palomo comes at the album with four decades of beats, drawing on everything from disco to today’s wobbly throwback house. His baseline, however, remains the ’80s pop that came in between. There’s a pair of Howard Jones-style reggae cuts (“Annie” and “61 Cygni Ave”), one Jheri curl-slick electro-funk nugget (“The Glitzy Hive”), and even some sunshine R&B worthy of Prince’s Around The World In A Day (“News From The Sun (live bootleg)”). If “C’est La Vie (Say The Casualties! )” wasn’t a conscious nod to “Easy Lover”-era Phil Collins, well, Palomo just got lucky. The reason he can cycle through these and other styles—often within a single track—is that he’s a songwriter at his core. On the squishy synth-funk standout “Street Level,” Palomo squeezes the whole of his artistry into a single song and still leaves room for a chorus reminiscent of some ’80s hit just on the tip of your tongue. It’s perhaps the closest he gets to chillwave, but even then, it’s lively and direct and presented without a filter, a fresh experience for anyone who wants to share it.